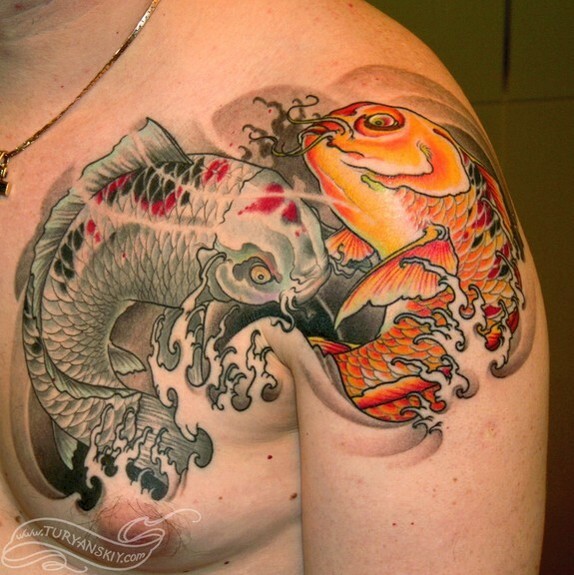 Comments: Custom color oriental koi fishes tattoo. About 11 hours (2 sessions). 2010.